William Joseph Cuff, 66, of Lee Co., GA died Saturday, April 7, 2018 at Willson Hospice House. A funeral mass will be held Thursday, April 12, 2018 at 2:00 p.m. at St. Teresa’s Catholic Church. Rev. Paul Ladda will officiate. Interment will follow in Crown Hill Cemetery with military honors. 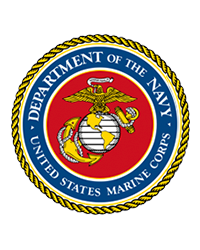 Born in Pittsburgh, PA, Mr. Cuff graduated from Crafton High School in 1969, after graduating high school, Mr. Cuff enlisted and dedicated twenty years of his life in the United States Marine Corps. After retiring from the Marine Corps, Mr. Cuff worked at Cooper Tire and Rubber Company in Albany, GA for nineteen years. For the last nine years, Mr. Cuff worked at USMC, Albany, GA.
William was very faithful to his church “St. Teresa’s Catholic Church” and was a member of the Knights of Columbus, The Marine Corps League and the VFW. One of his biggest enjoyments of his life was his five grandchildren. He was preceded in death by his father, William Lorenz Cuff and his wife, Mary Ann Hardy Cuff. Survivors include his three sons, Billy Cuff (Beth), Leesburg, GA, Patrick Cuff (Tammy), Dawson, GA, David Cuff (Leslie), Leesburg, GA, a daughter, Kelly Cuff Evans (Michael), Albany, GA, his mother, Clare Carson Winifred Cuff, Pittsburgh, PA, six sisters, Mary Ann Evrard (David), New Castle, PA, Karen Neal (William), Pittsburgh, PA, Nancy Powell (Raymond), Coatesville, PA, Susan Hammond (Bruce), Greenville, TX, Bernadette Chapman (Tim), Spraggs, PA, Loreta Shaw (Robert), Monata, PA and six grandchildren, Morgan Donaldson, Katelyn Cuff Taylor, Jenna Cuff, Madison Evans, Kendall Evans and Aiden Cuff. Those desiring may make memorials in memory of William J. Cuff to St. Teresa’s Catholic Church, 421 Edgewood Dr., Albany, GA, 31707 or Willson Hospice House, 320 Foundation Lane, Albany, Georgia, 31707. A wake service will be held Wednesday at 7:00 p.m. at Mathews Funeral Home with visitation to follow.